Would you like to keep your home comfortable year-round and save money? We can install a new programmable thermostat that will give you complete control over the heating and cooling of your home, and save you hundreds of dollars on your utility bills - every year. We even have thermostats that can remind you when it’s time to change your filter! If you’re having trouble with your old thermostat, or if you’d just prefer to upgrade to a thermostat with more money-saving features, call us today and we’ll take care of it for you right away. 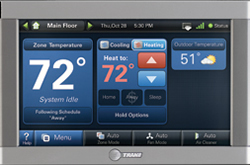 In most cases we install your new programmable thermostat the very same day you call us. 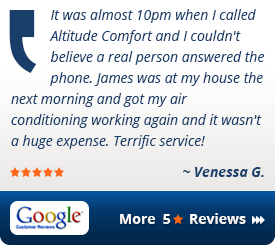 If your thermostat has stopped working, calls us right away. 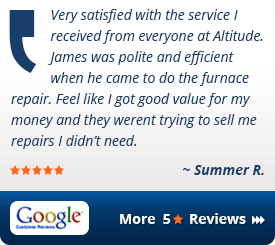 We always put emergency repair service at the top of our schedule. 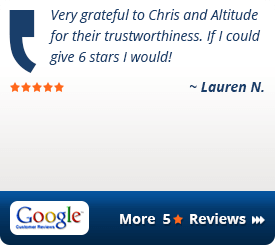 Call us at 303-505-3406 to upgrade your thermostat today! 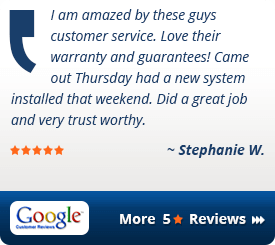 Or, you can schedule service online now by clicking here. A thermostat is the controls for your heating and cooling system which senses the temperature of your home so that the system's temperature is maintained near a desired set-point. The thermostat does this by monitoring and regulating the air flow and refrigerants as needed to maintain the desired temperature. The EPA estimates that a programmable thermostat can cut energy use by 20 percent to 30 percent, which can be roughly $200 a year. That means a programmable thermostat will essentially pay for it's self in savings!